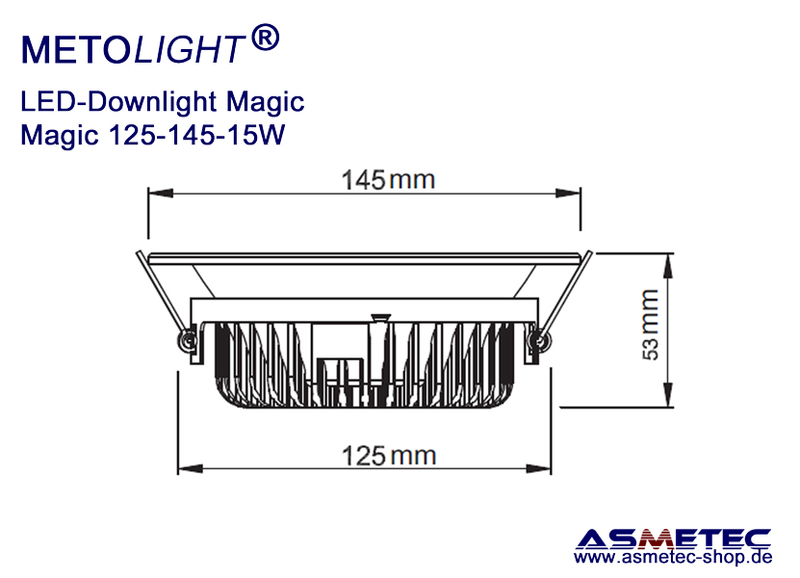 A white luminaire ring 145 mm and the matching constant current power supply unit are included in delivery. 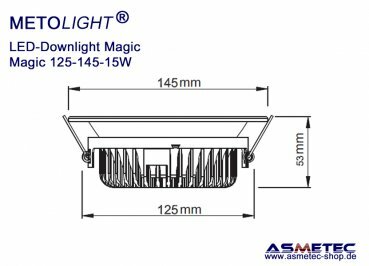 The IP protection class of the Magic modules is IP54, so that these LED downlights can also be used in damp rooms, kitchens and bathrooms. The modular design and the waterproof plug connection between downlight module and LED driver enable quick and easy replacement in the event of a defect or conversion. With approx. 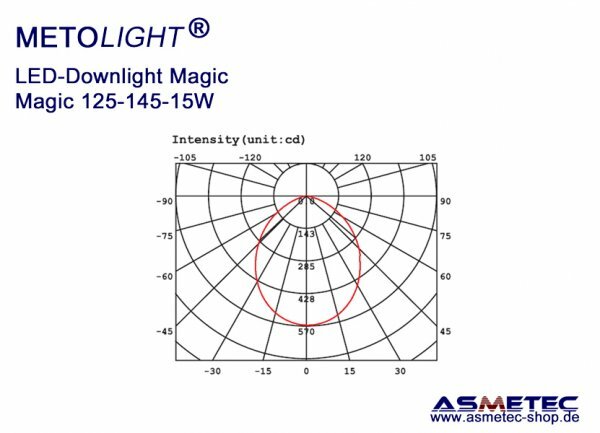 1500 lm this LED recessed ceiling light is almost as bright as a 150 watt incandescent lamp. 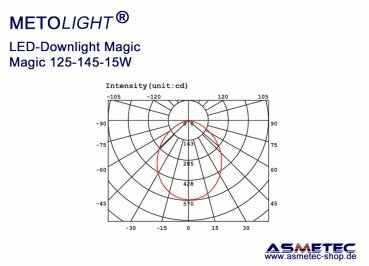 A PWM-dimmable constant current power supply with an input voltage range of 180 - 240 VAC, output voltage 24-46 VDC - 350 mA is included. The special feature of the CC supply is the higher efficiency and the integrated protection against overheating. Optionally, we also supply digitally dimmable power supplies (0-10V, DALI) for this luminaire at an extra charge.